GRAY / Termaat & Monnahan? 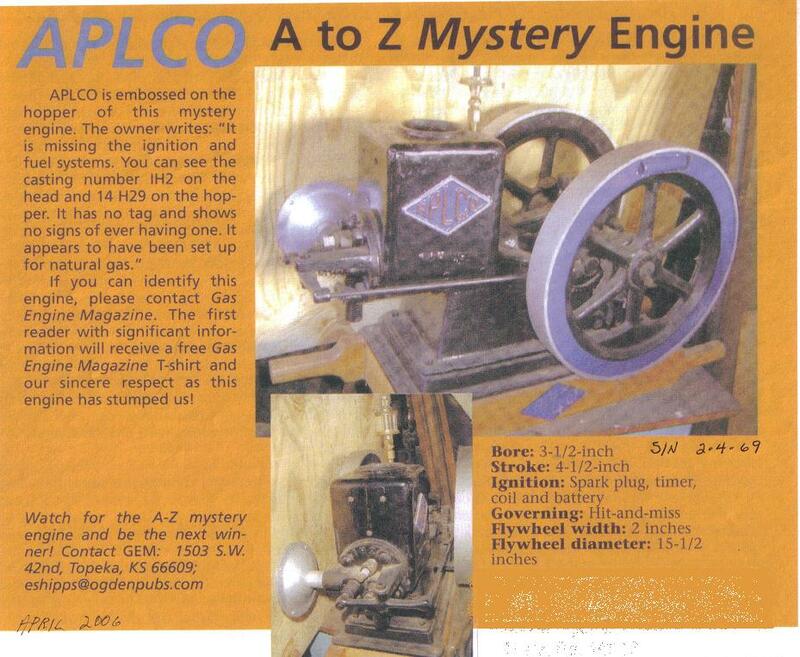 for any information, or help on, his APLCO engine. and I'll pass the information along to him. T&M, Oshkosh, GRAY, and my APLCO. My engine still lacks the fuel system and appears to have been used very little. I purchased it at an estate sale locally. If I find a carburetor, it should run.